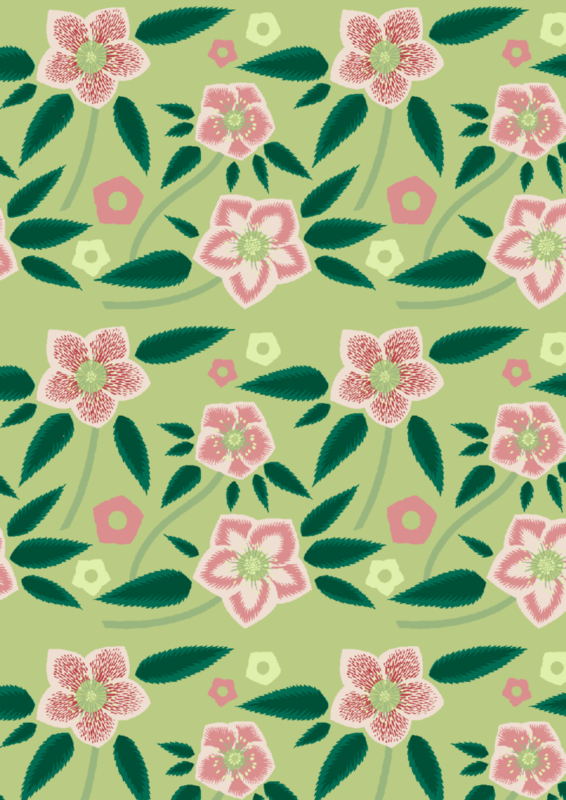 I’ve been having a go at making repeat patterns and I came up with this simple hellebore pattern as a practise piece. I hadn’t noticed some of the negative spaces whilst I was drawing it and consequently there are some odd gaps that show up between the repeats. Clearly more practise needed!